A federal appeals court handed a legal victory to House Rev. Patrick J. Conroy on Good Friday when it ruled he cannot be forced to let an atheist offer a secular prayer on the chamber floor. The U.S. Court of Appeals for the District of Columbia Circuit dismissed a claim brought by Dan Barker, co-president of the Freedom From Religion Foundation and a former minister, that his rights were violated when Conroy said he could not serve as a guest chaplain. Judge David S. Tatel, writing on behalf of the three-judge panel, focused the court’s ruling not on Barker’s atheism but rather on the content of the prayer. A U.S. appeals court is forcing the Environmental Protection Agency (EPA) to make a final decision on whether it will ban the use of a common pesticide linked to developmental disorders in children. The U.S. Court of Appeals for the 9th Circuit on Friday ordered the EPA to make a final decision on whether it will ban the use of chlorpyrifos across the country. The agency has until mid-July to make its determination. Chlorpyrifos is an agricultural chemical commonly used on apple, orange, strawberry, corn and wheat crops. It was first developed in World War II for use in chemical warfare. The chemical’s use on foods has had a long, embattled history in the U.S. Many scientific studies have shown that the insecticide is linked to alterations in brain structure and cognition, and that children are especially susceptible. Lies, damned lies and presidential aides' misstatements. The Mueller report on Thursday revealed several instances when aides to President Donald Trump, while under oath, acknowledged that statements they once stood by were based on something other than facts or truth. Sanders went on to say that Deputy Attorney General Rod Rosenstein had decided “on his own” to examine Comey’s performance and then expressed his concerns to Trump about them on May 8. TVNL Comment: Read the entire redacted Mueller report HERE. 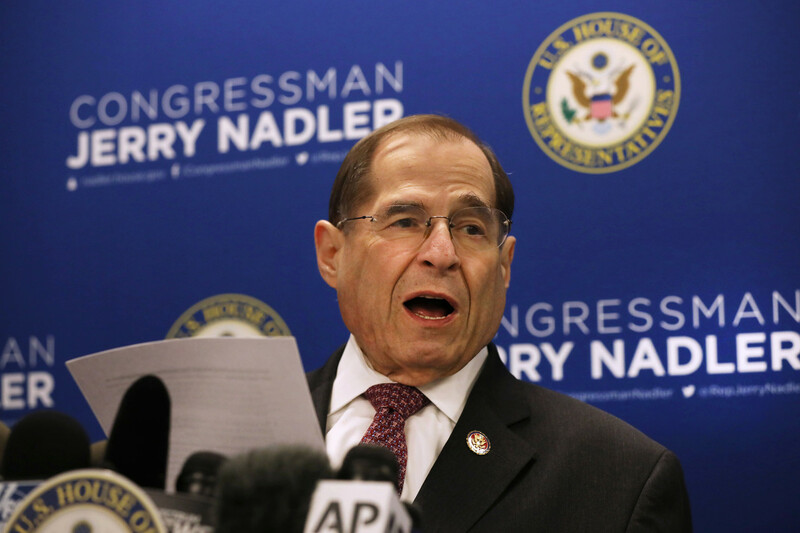 House Judiciary Chairman Jerry Nadler on Friday issued a subpoena to the Justice Department for an unredacted version of special counsel Robert Mueller’s report, in addition to the underlying grand jury evidence and testimony. The subpoena, which demands the material by May 1, escalates the House’s confrontation with Attorney General William Barr, whom Democrats have accused of whitewashing Mueller’s findings and misleading the public about the nature of the special counsel's conclusions in order to protect President Donald Trump. Home goods retailer Pier 1 Imports could close as many 145 more stores in the fiscal year, the Texas-based home goods retailer said Wednesday when it reported financial results. The news comes a week after Bed Bath & Beyond said 40 locations could be shuttered this year. “As anticipated, our fourth-quarter sales and profitability were disappointing and reflect the execution issues we identified earlier in the year and have been working with urgency to correct," said Cheryl Bachelder, interim Pier 1 CEO, in a statement. After closing 30 stores in its fiscal year that ended in March, there were 973 stores in the chain, which sells furniture, home decor and other accessories. Mr. Mueller’s report has been released publicly. Our reporters are reading it and are posting major findings and analysis. 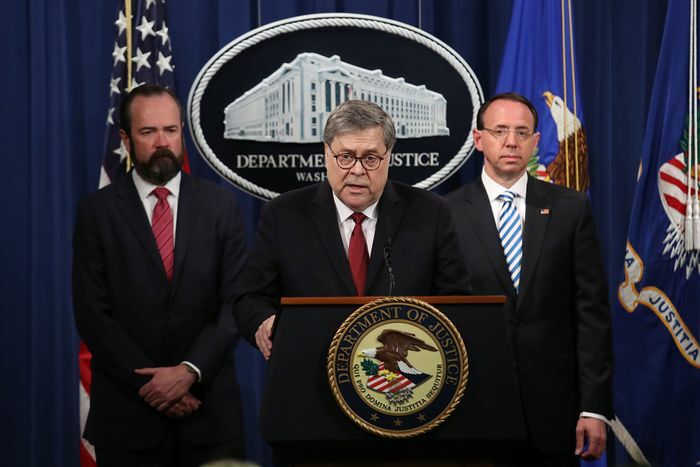 Attorney General William P. Barr offered a strong defense of Mr. Trump before releasing Mr. Mueller’s report, saying that investigators “found no evidence” that any member of the Trump campaign conspired with Russia in its effort to interfere in the 2016 presidential election. TVNL Comment: Keep refreshing the NYT page for updates. 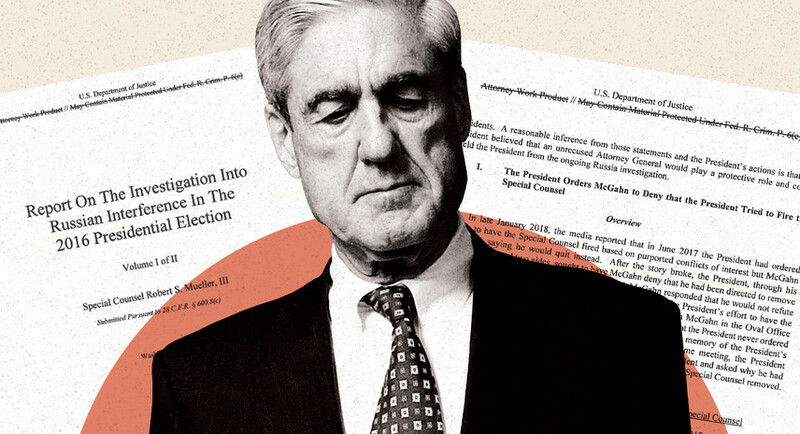 Ninety minutes before a redacted version of the Mueller report was set to be delivered to Congress, Attorney General William Barr held a press conference to discuss Mueller’s investigation into Russian election interference and, once again, offer his own summary of the special counsel’s report. Barr said he will deliver a copy of the “public” version of the report to Congressional leaders at 11 A.M. A copy of the report will be posted to the Justice Department’s website shortly thereafter.